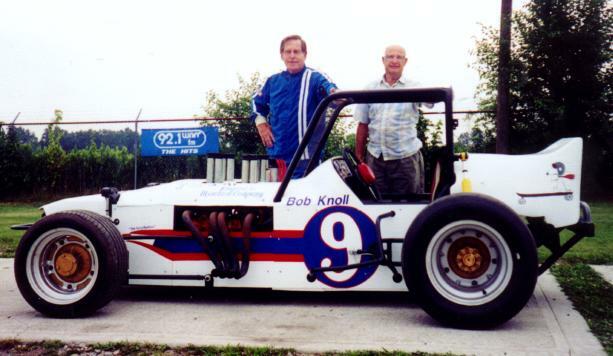 That's Bob Knoll, driver on the left, and Vanard Knoll, builder, on the right. Jane Mapus snapped this photo on July 22, 1999 at the unveiling of the restoration during the 1999 Sandusky Hy-Miler weekend. Randy brought his restored super to the Limaland Speedway. 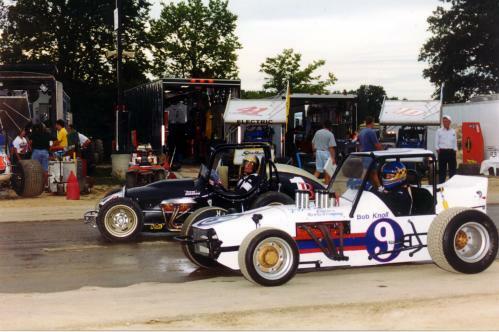 That's Randy's buddy, Kenny Berends in the 1B sprinter. 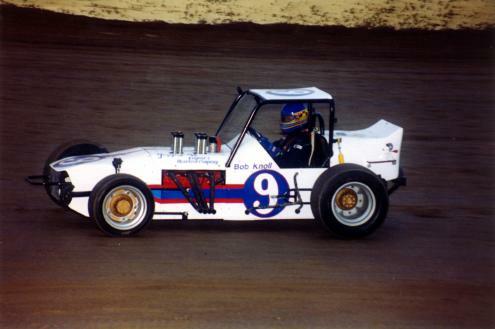 Again, Randy at the Limaland Speedway. Kenny Berends took this photo. 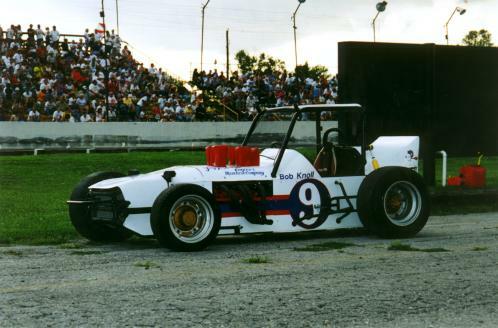 Butch VanDyke photo of the beautifully restored Bob Knoll #9.